The long-awaited Property Practitioners Bill intended to repeal the Estate Agency Affairs Act 112 of 1976 and transform the entire property market was passed in Parliament this week. Once fully approved by Government, it will have far-reaching effects in the real estate industry, but will also provide for improved consumer protection, as the bill closes the gap in providing protection to buyers of second-hand homes which The Consumer Protection Act failed to address. who is employed by a property practitioner. Of significance, though, in this instance, is that the condition that a person earns some sort of gain for their services has been removed from the definition. This means that even persons performing the above functions without reward may still be thought to be property practitioners, and therefore subject to the regulatory requirements. 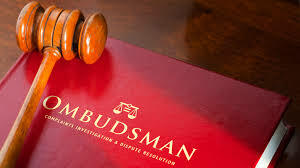 With the establishment of the Property Practitioners Ombud, the bill now takes the responsibility for consumer complaints away from the regulatory authority and entrusts it to an independent body, the Ombud, who is charged with representing the interests of the public and who will follow an approved process in dealing with complaints. This will also allow for mediation and resolution, in the hope that the less serious issues will be dealt with fairly, quickly and efficiently. The Ombud may also hear disputes between property practitioners, but only if both parties agree.